Matt Tubbs hit his fifth goal in five games to secure Crawley a 1-0 victory against play-off chasing Peterborough. Striker Tubbs, on loan from Bournemouth, coolly scored from the penalty spot five minutes from time after substitute Jack Baldwin had handled a free-kick by Andy Drury. 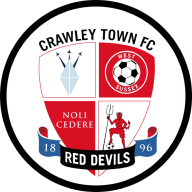 Crawley, who have up to six games in hand on some of their League One rivals, threatened after only two minutes when Dannie Bulman released Tubbs and the latter's fierce shot was turned round the post by Posh goalkeeper Bobby Olejnik. Olejnik produced a similar save to deny debutant striker Sullay Kaikai, who swung in a testing free-kick from 20 yards. Crawley goalkeeper Paul Jones was well-positioned to hold a powerful low drive from Michael Bostwick after a free-kick was worked to him. 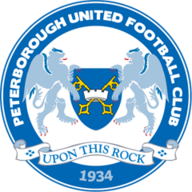 Posh came out of their shell to threaten when Mark Little burst down the wing, but skipper Tommy Rowe wastefully put his cross over the bar. Ben Nugent had a goalbound header saved for Peterborough before Tubbs had a shot taken low down at the other end by Olejnik. Bostwick fired narrowly wide shortly after the break after Mike Jones had gone close for Crawley with a mis-hit cross, which flew over the bar. Britt Assombalonga forced Jones to block his shot and Posh again went close when Rowe put a low shot wide, before Tubbs' effort was saved on the goalline by Olejnik.